Benfotiamine is a fat soluble derivative of vitamin B1 (thiamine) that has a greater bioavailability and bioactivity. Benfotamine can be found in small amounts in garlic, onions, shallots, etc. Studies show that benfotiamine is absorbed by the body more readily, improving the function of thiamine in the body. Studies show that the body actually prefers benfotiamine over thiamine. Benfotiamine has been shown to help maintain healthy advanced glyvation end (AGE) activity to help support vascular, nerve, eye, and kidney health. Supplementation of Benfotiamine supports healthy levels of thiamine (B1) in the body, which helps the production of enzyme thiamine pyrophosphate (TTP). This optimal TPP production improves healthy advanced glycation end (AGE) activity. 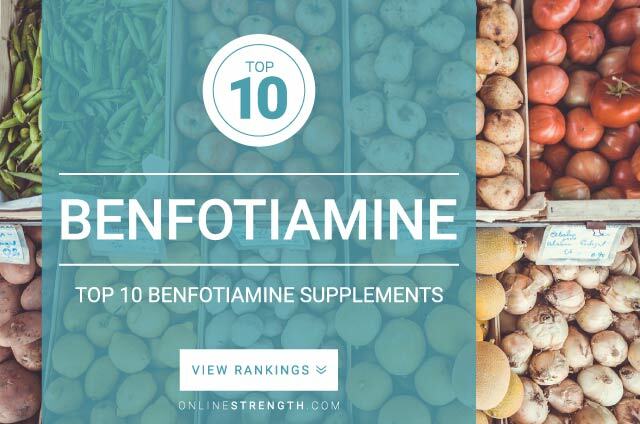 Benfotiamine can help increase thiamine levels in the blood and tissues far greater than a regular water-soluble variation. Individuals experiencing a thiamine deficiency may suffer from constant fatigue, weakness, nerve damage, poor memory, cardiovascular issues, and constant mood swings. Studies show that Benfotiamine can help combat a deficiency faster than regular B1 supplements. There are no reports of benfotiamine-drug interactions. Recommended Benfotiamine Dosage: 200 mg – 600 mg daily, in divided doses, preferably with meals. Based on current clinical trials, daily dosage ranges from 300 mg – 450 mg daily in divided doses.